An acclaimed entrepreneur and innovator, Chef Justin Beckett is a leading force in Phoenix's rising culinary scene. The son of a pastry chef, Justin's parents were passionate about food, helping to foster a love for cooking that started at the age of ten. By 18, Justin had lived in five states and three countries, from New Hampshire to Guatemala, which allowed him to draw upon a multitude of cultures and flavors in his own creations. After completing his studies at the California Culinary Academy, Justin was recruited for a cooking position at Roy’s Hawaiian Fusion® Cuisine in Pebble Beach before crossing the Pacific for a position at Roy’s Kahana Bar & Grill in Maui. Following his fervor for culinary knowledge, Justin then traveled to Europe only to return home as a personal chef for Countess Von Galen of Germany. Justin rejoined the team at Roy’s, leading the opening of the brand's Scottsdale location. After brief stints at the helm of other Valley restaurants, Justin indulged his innovative nature taking on the role of executive chef and partner of Creative Hands Cuisine. Though successful in the kitchen, Justin sought industry growth and pursued an opportunity to expand his knowledge of the business as a consultant with Bottomline Hospitality Group. Following Bottomline HG, Justin drew upon his diverse experience to play a hand in the development of Cafe Zuzu and Trader Vic’s restaurants at the iconic Hotel Valley Ho following its 2004 restoration. Striving for ongoing professional progress, Justin then joined Southbridge Restaurant Group as director of culinary development. Working closely with Fred and Jennifer Unger, Justin conceptualized, designed, built and launched four additional dining establishments – marking 16 restaurants opened under his direction. Following the success of Beckett’s Table, Justin and partners set out to open a second concept in uptown Phoenix. Warm and centered around community, Southern Rail opened its doors in 2014. The vibrant restaurant celebrates American classics with a Southern twist. At Southern Rail, Chef Beckett creates flavorful and light versions of the traditional American and Southern dishes he loves. A robust American beverage program with an emphasis on bourbon and Arizona wine, is overseen by owners and sommeliers Scott and Katie Stephens. Touches of the South’s well-known style of hospitality complement the Southern Rail menu. After a varied resume, Justin seems to have found his niche as one of the Valley's most talented and creative chefs and already esteemed restaurateurs. Dedicated to the community that's shaped him, Justin is active in Arizona, serving on the Arizona Restaurant Association’s Board of Directors and sourcing a majority of his products from local purveyors all while raising awareness of the Valley's growing culinary scene. He is equally committed to shaping the chefs of tomorrow through his roles in Devour Phoenix. 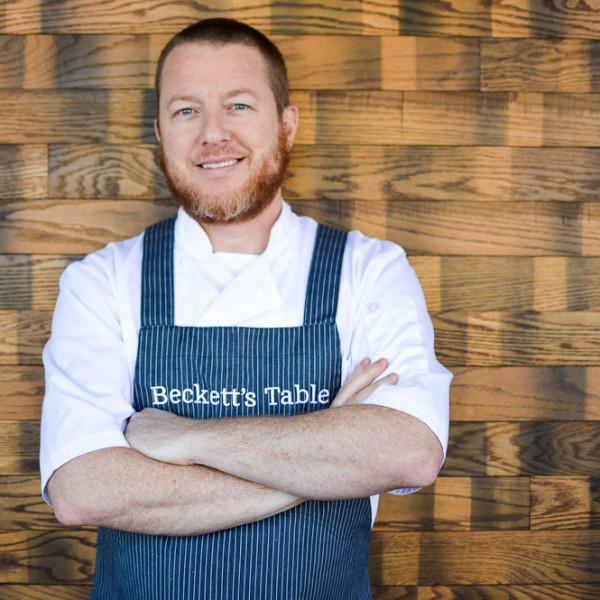 Since opening Beckett's Table and Southern Rail, Justin’s culinary prowess has also earned him national attention with a 2012 nomination for Food & Wine magazine's People's Best New Chef award and a 2014 invitation to cook for Condé Nast publications, proving the future is bright for this culinary star.